After the critical success of their 1968 debut, Music in a Doll’s House, many aficionados of British progressive rock wondered how Family could avoid repeating themselves and still sound fresh. 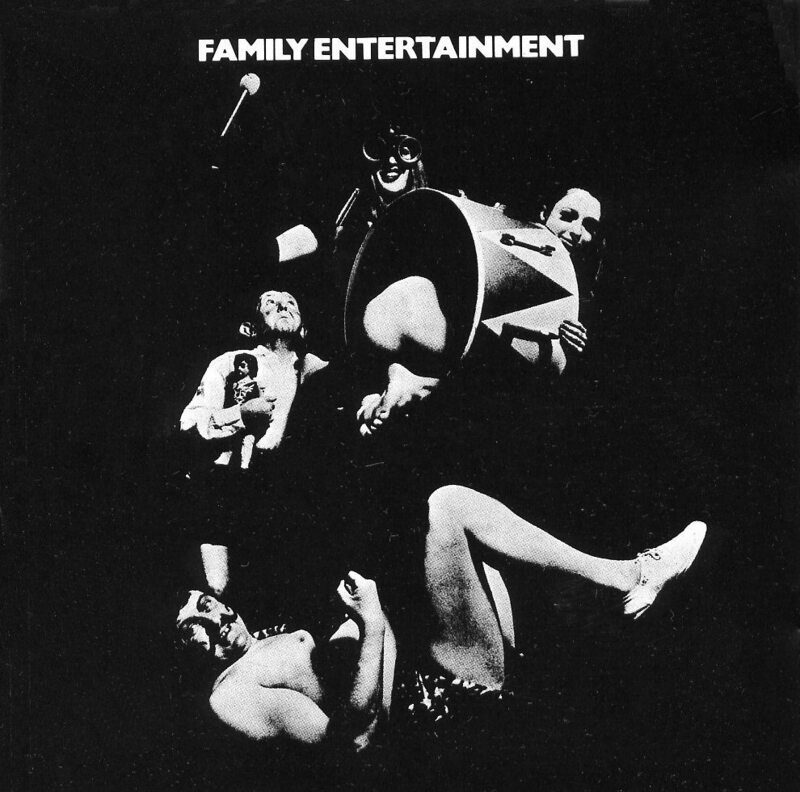 Family, however, were hardly a static psychedelic band, as Music In a Doll’s House might have suggested: their sound was largely influenced by folk, country, and pop, all solidly rooted in the blues. 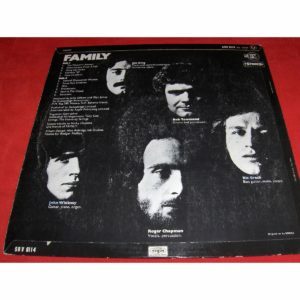 The group, under the production of Glyn Johns and Family manager John Gilbert, would create a worthy second album that drew on all of their musical influences and abilities. The album opened with “The Weaver’s Answer”, a haunting, stately song about a dying old man about to see his life in the form of tapestry. Lead singer Roger Chapman sings the lyric of remembrance with a great deal of grit and a heavy blues undercurrent throughout; the final violin passage from Ric Grech perfectly symbolizes the old man’s moment of death. 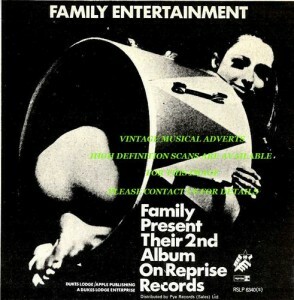 On much of the rest of the album, Family blends seemingly contrasting styles within single songs; the anti-war rant “Hung Up Down” blends a madrigal melody with a guttural blues-rock bass line, while “From Past Archives” cuts suddenly from a lilting ballad melody to a hip jazz arrangement. Charlie Whitney was enjoying the thrill of discovering new worlds on Family Entertainment with his dreamlike song “Processions,” about a little boy fantasising about his life ahead while enjoying a day at the seashore, while “Observations From a Hill” – sung by Jim King – finds magic and beauty in the most mundane scenery of Family’s hometown, Leicester. 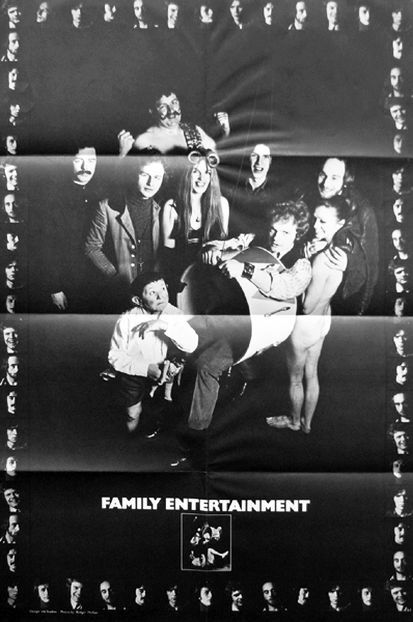 Family’s momentum was almost derailed by the departure of Grech for Blind Faith two months after Family Entertainment’s UK release, which caused their first U.S. tour to founder, and Jim King only worsened the situation with his departure later in 1969. But the album gave their music a new direction, and remains an indisputable classic. “The Weaver’s Answer” would go on to become their signature song.